for a new lease on Life! ASF Lightware Solutions offers several products specifically designed to help those with visual difficulties. Its founder had MD (macular degeneration) and knew, first hand, the problems faced by so many. Understanding the problem + knowing how to invent is a powerful combination that produced great products for himself and for millions of others basically turning "Lemons Into Lemonade". Age-related vision loss may result in reduced contrast sensitivity, reduced illumination within the eye, reduced acuity, and a reduced ability to distinguish different colors and intensity of colors. Lighting that may appear bright to a younger family member or caregiver can appear dim to an elderly person affected by age-related vision loss. Age-related vision loss can impact reading books, labels on food and medications, instructions and directions, choosing clothing, and can create difficulties using telephones, remote controls, computers, or even reading a watch or clock. Extra task lighting that helps increase illumination and contrast along with larger or bolder type can assist in these situations. 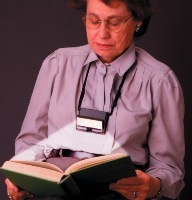 A soft, bright reading light worn around the neck with adjustable strap that can be used anywhere additional light is needed without disturbing others. Use it for reading books, ebooks, newsletters, magazines, menus, labels on medication bottles, crafts, knitting or quilting. Use it at home in a chair or in bed, searching in closets, basements, or attics, or walking outside at night or in the dark. It's very helpful during power failures. Use it when traveling in hotels, in restaurants, on planes, trains, buses, or in a car. Turned on/off by flipping the large reflector head up/down so it is easy for those who have trouble with small buttons. It's hands free design allows it to be easily be used in a wheelchair or walker. The LED 6 Hands-Free Task Light and LED 6m Hands-Free Craft Light have 6 LEDs in a row for an extra bright and extra wide light and a set of standard alkaline batteries lasts for 50 hours when using all 6 LEDs, 100 hours when using 3 LEDs. The LED 3 Travel & Reading Light has 3 bright LEDs and a set of batteries lasts for an extra long 100 hours. Please note that the accessory magnifiers included with the LED 6m Hands-Free Craft Light are not intended as a low vision aid. These accessory acrylic Fresnel lenses are for individuals with normal vision to use for short periods of detail work. 4 stick-on sheet kit. 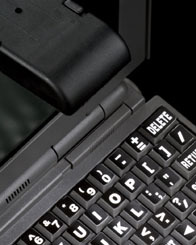 For those who use computers/internet appliances and have difficulty seeing the keyboard clearly, are hunt & peck typists or have worn out keyboards. ASF's 4 sheet kit (each sheet a different keyboard color combination) has letters & numbers that are 400% bolder & bigger & can be used as mix & match colors to highlight important keys. When this item was written about in MacWorld Magazine the reception was tremendous. A set of 4 stick-on sheets at $12 ($3 per keyboard) is far less costly & more practical than paying $160+ for a special keyboard with oversize letters and numbers. HIGH VISIBILITY Playing Cards - Bridge or Poker size. Many of us are avid card players but, because of vision limitations, cannot see the cards clearly and therefore play very slowly. Cards designed specifically for low vision players are unacceptable to those with "normal" vision because of their designs. 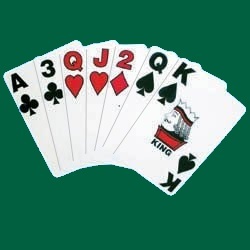 The ASF High Visibility Playing Cards enable players with and without vision difficulties to play comfortably together. When our our High Visibility Playing Cards were reviewed in Judi Dash's syndicated newspaper column, "Gear and Gadgets," for months the phones were ringing off the hook as people all over the country called to order the cards for themselves, their card groups, friends, parents & relatives. Why use the EZ 2 AA Remote & Sleep Switch? PROBLEM: You doze off when playing an audio tape while your Cassette Player keeps going and going! Getting back to where you were is a tedious and very time consuming rewind search. 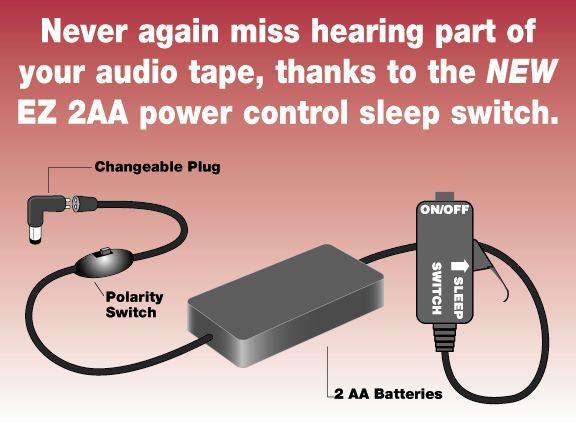 SOLUTION: By using the EZ 2AA Remote & Sleep Switch with an on/off bypass button, no tedious rewinding is ever needed! The EZ 2AA uses 2 AA batteries and works perfectly with Sony®, CAN-D0™, Panasonic® & all other 2AA Cassette Players with an adapter jack. Also available is the EZR 120 Remote & Sleep Switch Adapter which will perform the same functions with 120v AC Powered (2 pin) Devices. Ideal for use with EZ Play Cassette Player furnished by the Library of Congress for the Talking Books Program. all contents copyright © 2003-2018 ASF Associates Ltd.